Itty Bitty Hill: It's official! Daddy was FINALLY fully ordained last night! 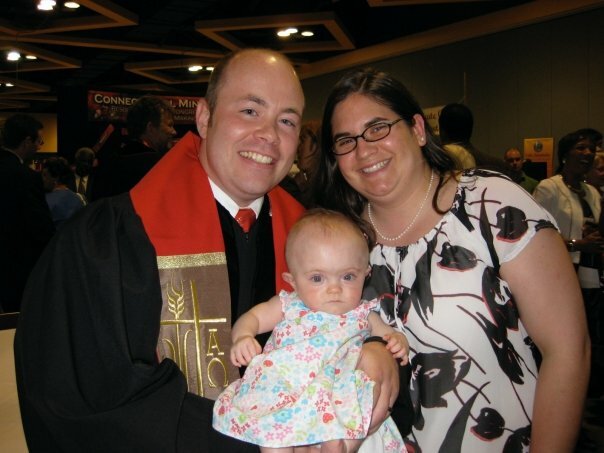 After years and years of preparation, John was ordained, and Becca helped! (For you non-Methodists - or UM's not up on the polity of your church - this is a big step...loosely akin to getting tenure, you could say.) No more "day trips" to Kentucky for residency meetings, no more residency retreats in which he is (almost literally) held captive, no more theology, call, and doctrine papers...he's DONE! John, we are so proud of you! 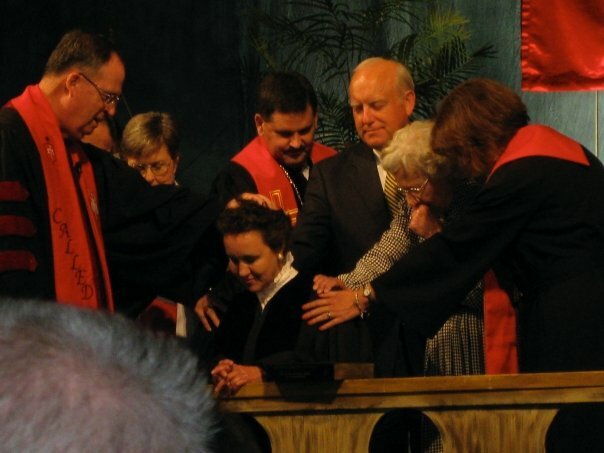 Here are pictures: the first is the actual moment of ordination - notice Becca and her ducky wubbanub got to be onstage and lay hands on him, too! Standing to the right of me are Cindy Green, John's youth minister from South Ashland and Lee Padgett, the director of Aldersgate Camp - quite possibly John's favorite place in the world. The second is the family shot with daddy's new stole - in Becca's favorite color. Our dear friend Rebecca was also ordained, right before John. We worked with her at Christ Church, and now she's Waldo's mom. Congrats, Rebecca! 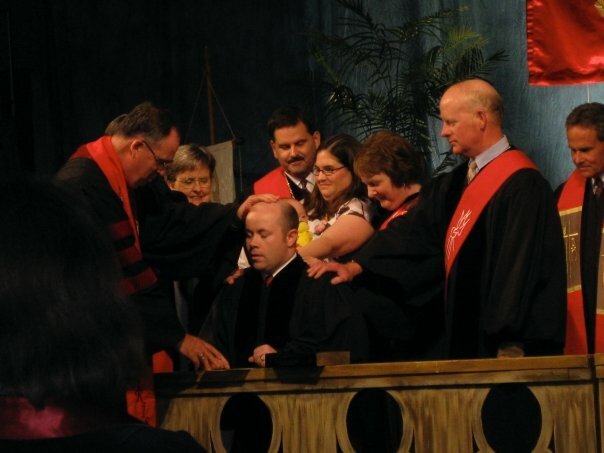 A few others in my commissioning class were also ordained. I am so happy for them! It was great to see them finish this process, having come in to the conference together. Congrats to Kaye, Phil, and William!